You find electrical mechanics working their magic on the floors of factories—from automotive to power tool manufacturing plants—repairing and installing electrical equipment. As one, you'll install, test, or repair equipment as well as generate estimates and maintain necessary records. Is a career as an electrical mechanic in your future? Find a school. How Long Does It Take To Become An Electrical Mechanic? To have the skills necessary to work as an electrical mechanic, you must have your high school diploma or GED. Enrolling in trade school is highly recommended, although some electrical mechanics will gain hands-on experience through an entry-level position. Either way, it is a good idea to become a certified electrical mechanic, because it will expand your potential job opportunities. While bls.gov states trade school is the minimum requirement, there are also bachelor of science programs in electromechanical engineering technology available. 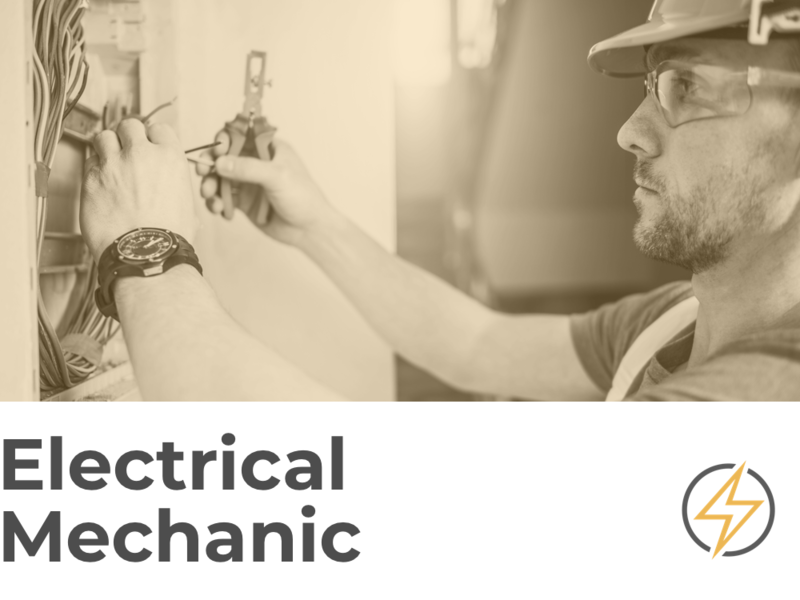 The education process to become an electrical mechanic can last anywhere from a few months to a few years, depending on which route you decide works best for you. Search for schools by state. What Does An Electrical Mechanic Do? A plethora of modern and not-so-modern machinery is housed within plants. All of this equipment needs to be maintained on a regular basis in order to keep the plant running to its full potential. It’s the job of the electrical mechanic to do just that. As technology progresses, so must your skill set. You must have the know-how to repair complex software programs within the machines to diagnose the malfunctions. You'll use your own technology and equipment to repair the plant’s technology and equipment. You will use signal generators, oscilloscopes, multimeters that measure voltage, and more. How Much Does An Electrical Mechanic Earn Annually? The median annual pay for electrical mechanics is $57K. Entry wages for an electrical mechanic run more in line with the $35K mark, but those who have more experience may make more than $87K yearly. Most electrical mechanics belong to a union, with fees are paid monthly or annually. Job growth is expected to increase by 4 percent between now and 2026; however, job opportunities will remain excellent for those who are qualified in the field of electrical mechanics. The best opportunities will be in commercial and industrial equipment installing and maintaining.